Owl’s Head Business Services is headquartered in Portland, OR. With more than 20 years of experience in technology, we offer the skills and expertise to help your business build and maintain its online presence. We strive to help our clients understand the tools of the trade and we work with them every step of the way to ensure their success. In addition to our extensive technical knowledge, we also know how to explain what we do in plain English. We provide both on-site and virtual services. Owl’s Head Business Services designs, builds, and services responsive WordPress websites for small businesses, non-profits, and creative professionals. We get our customers excellent online results through social media, advertising, eLearning and eCommerce offerings. Our people are encouraged and supported to participate in continuing education and conferences. Owl’s Head values our clients’ trust and success in the online marketplace. Kelly Janes started her career as a Help Desk Analyst for a large San Francisco-based law firm and has extensive experience in Information Technology. Her well-rounded background includes the following job titles: Online Specialist, Project Manager, Computer Trainer, Desktop Analyst, and Budget Supervisor. Ms. Janes has worked in corporate, educational, creative, and small business environments. She has focused her career on delivering innovative, smart and creative solutions for her clients. After 10 years living in New York City, she currently resides in Portland, OR with her family. Ms. Janes speaks “Geek” and English fluently and is an expert translator between the two. Being exposed to the internet relatively early compared to her peers, Amy Hwang grew up appreciating websites that are both well functioning and aesthetically pleasing. Ever since smartphones became a big part of people’s daily lives, Amy has been fascinated especially with progressive and edgy E-Commerce sites with good mobile responsive designs. With this fascination, Amy decided to design and create websites with great UX herself. She studied programming and web designing at Epicodus and has been working with multiple digital agencies since then. Amy was initially a music teacher at elementary schools in NYC. She has always been passionate about hands-on projects and communicating through various forms of art, whether that is creating music, crafting, or building websites. 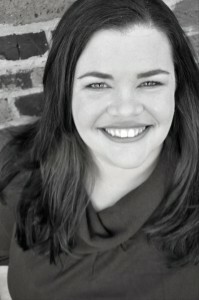 Leah Lundrigan handles all project timelines, client management, administration, and Kelly Janes. 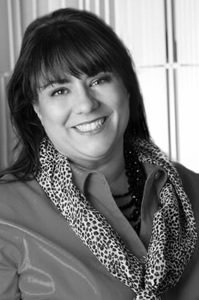 Her background includes: recruiting, outdoor advertising, publishing, insurance and client services. From staffing multi-million dollar companies, to organizing national ad campaigns, Ms. Lundrigan has done it all and continues to find creative solutions for budget conscious business owners. Leah Lundrigan resides in Brooklyn, NY with her family.